We have previously advised that the House Sponsor of the 20% “privilege tax” has told IVCA he is not calling the bill this session. We believe that is still the case. 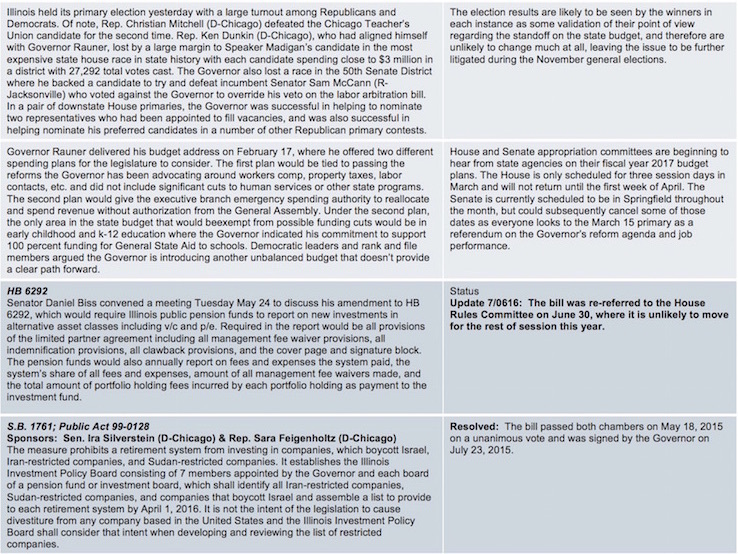 However, it is interesting to note that HB 4293 has added a few cosponsors recently. If any of these new co-sponsors listed below represent you, please contact them! This is not a significant number of cosponsors, and the legislators who have signed on may have been encouraged to do so by advocates for the bill to keep the issue alive. Which is why although we don’t see any immediate danger in the bill being revived for this legislative session, it appears to also be an issue which is never completely going away. 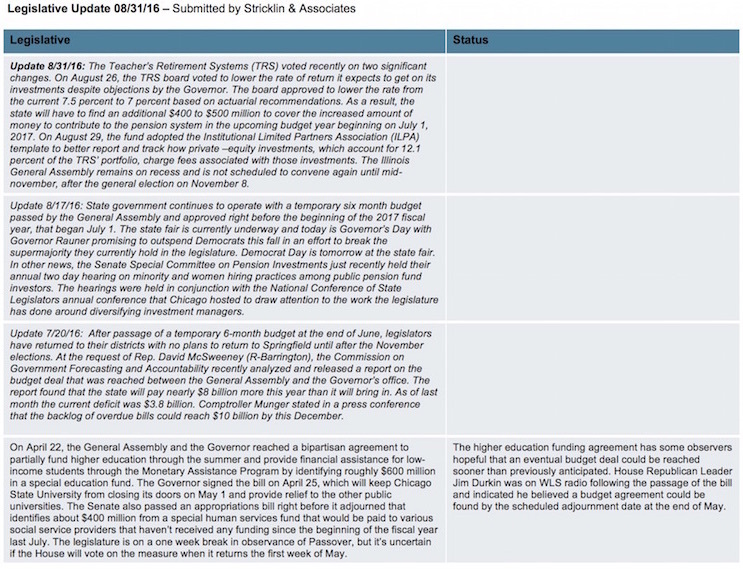 Continue to let your Representative and Senator know you oppose both HB 4293 (Welch) and SB 3189 (Biss). 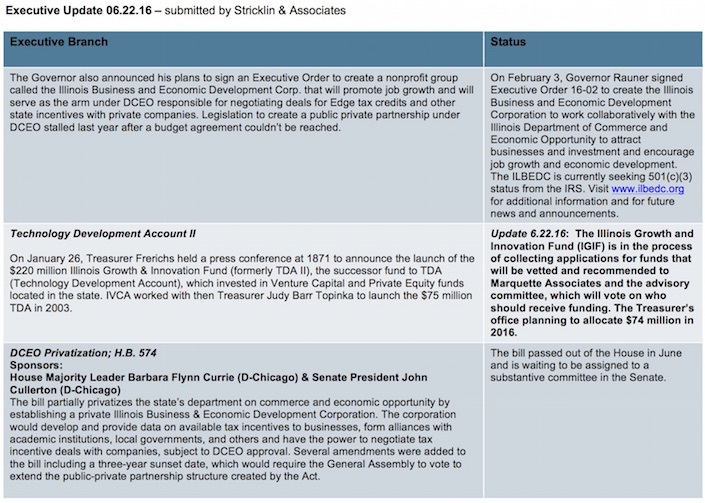 Restrict capital opportunities for Illinois growth companies. Please, take action on this issue! We know that constituents have the strongest opportunity to influence Representatives. Find contact info for your legislators here. Sample email, click hereSample Email 2018.01.24 HB 4293 v2.docx updated 1/24/18. 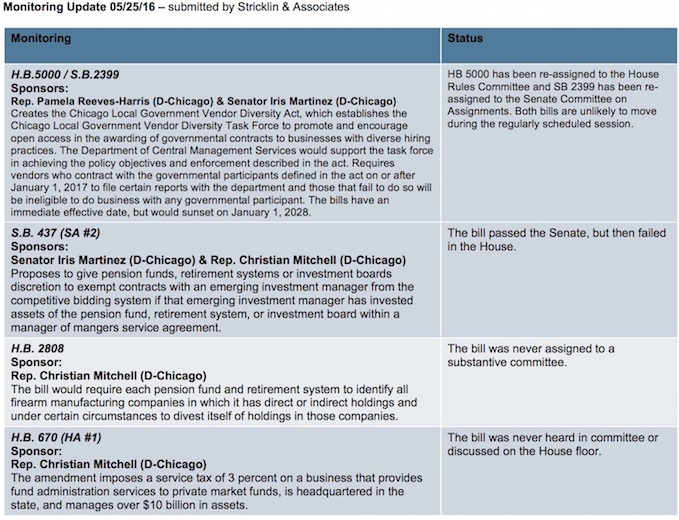 Thanks in large part to the diligence of IVCA members who contacted their elected officials and let them know the harm which would be done to the entrepreneurial infrastructure of Illinois, measures to apply a 20% tax to capitals gains earned by investment managers, such as embodied in SB 1719 and HB 3343, did not pass during this session of the Illinois General Assembly. 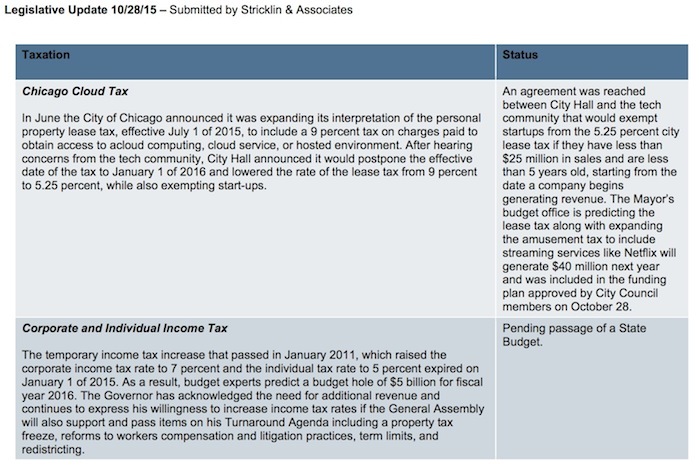 Those measures may be revived at a later date and in your conversations with your local state Representative and Senator please continue to help them understand the negative impact this would have on the Illinois economy.